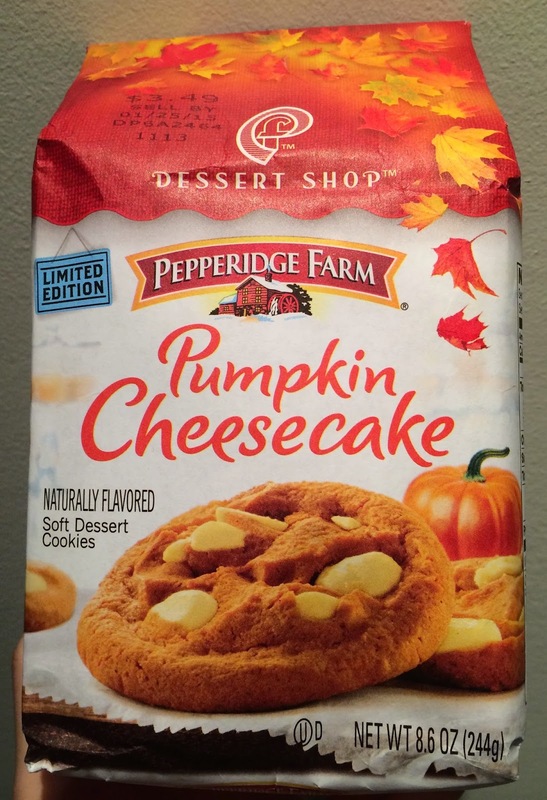 My husband found a new limited edition of Dessert Shop, a line of Pepperidge Farm, called "Pumpkin Cheesecake" like several weeks ago, but I finally had a chance to eat this. 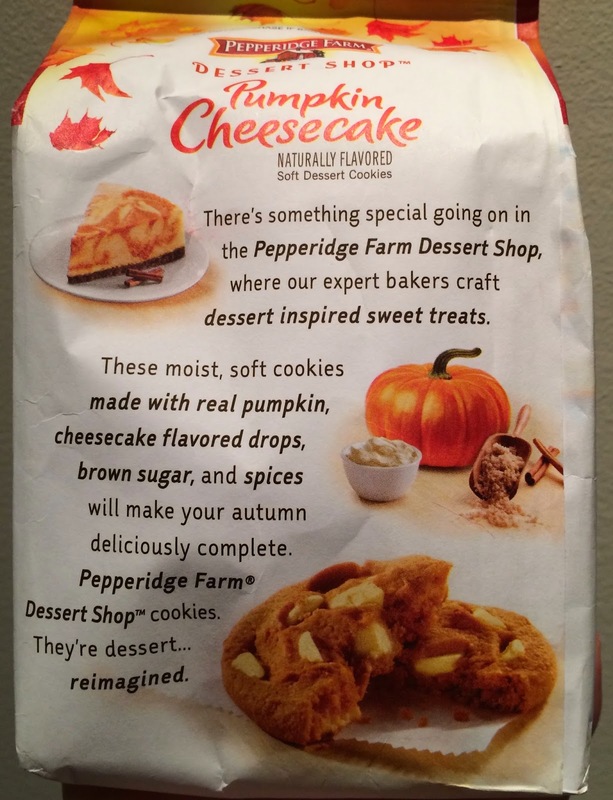 On the package, there're colored maple leaves to show autumn, and also a pumpkin behind the cookies. 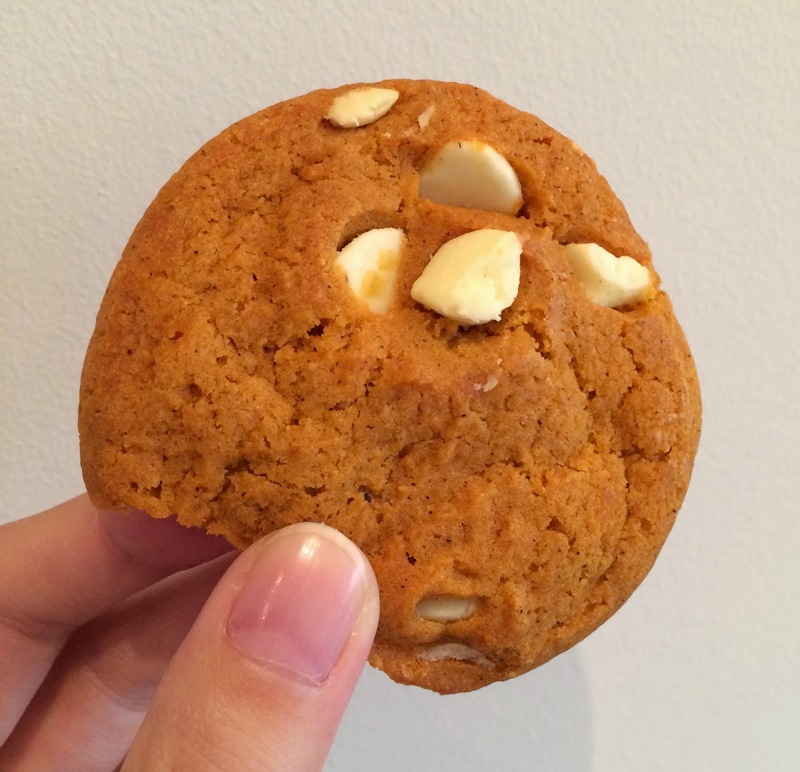 According to the back, these moist and soft cookies were made with real pumpkin, cheesecake flavored drops, brown sugar and spices. Cinnamon and nutmeg flavor came out when I opened the bag. 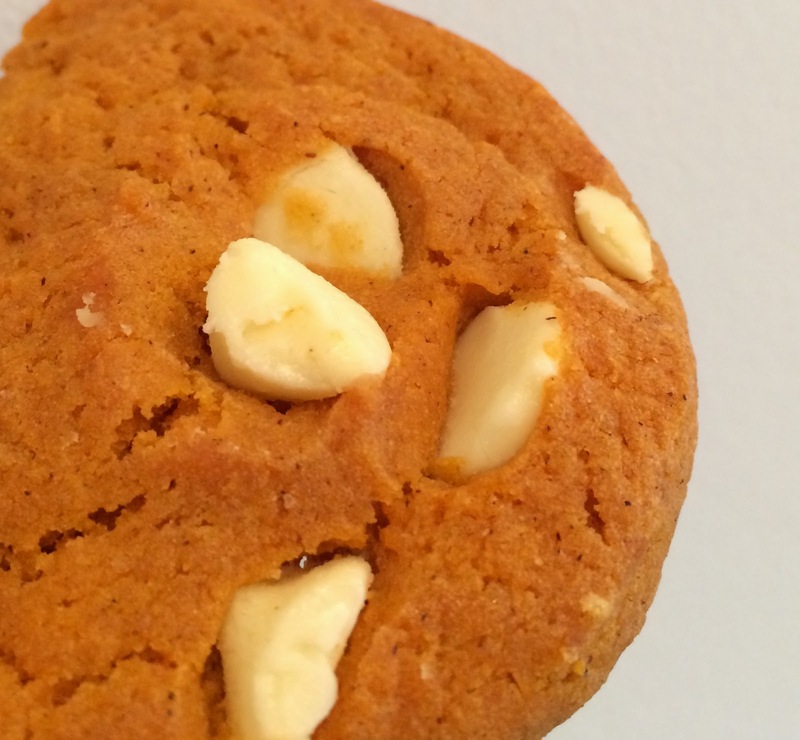 The cookie was soft and moist as it's described, and also heavy with the wet texture and cheesecake flavored drops. It's about 1cm (0.5 inch) tall but as it's soft, it's easy to bite it off. 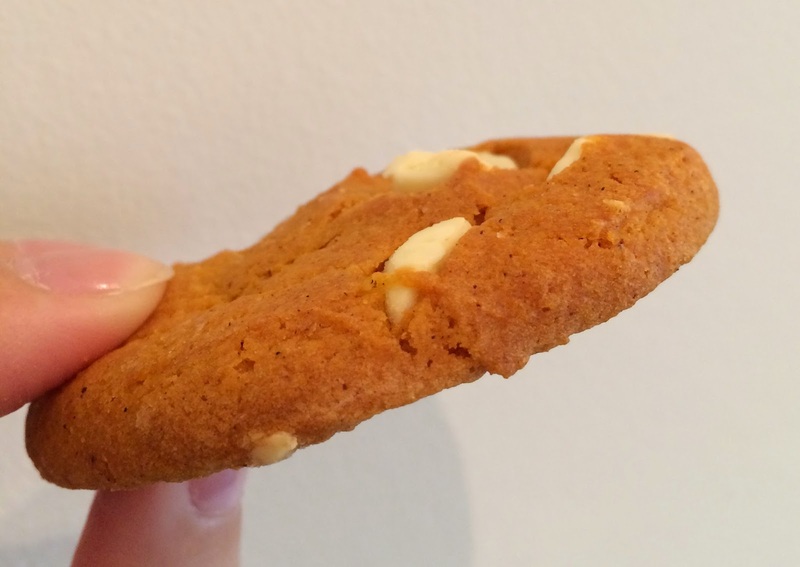 I also tasted subtle tangy flavor of ginger in the cookie. Cheesecake flavored drops had similar texture to slightly melted chocolate chips from the heat, and the soft texture went well with moist cookie dough. 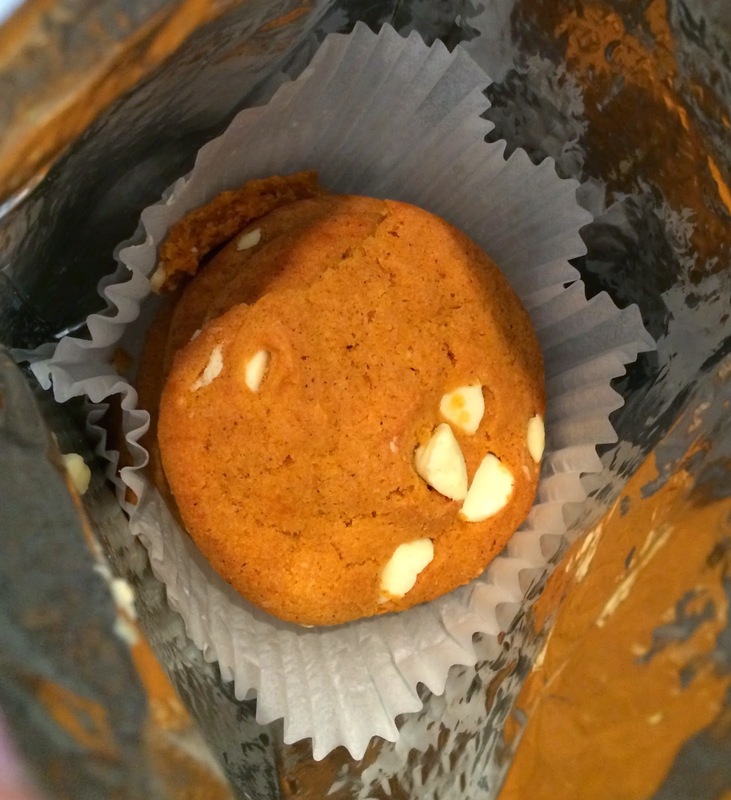 Every time I have pumpkin spice, I don't taste pumpkin but only spices, and this cookie was also like that way besides cheesecake flavor. Thanks to the melty cheesecake drops, nutmeg flavor didn't disturb me much.